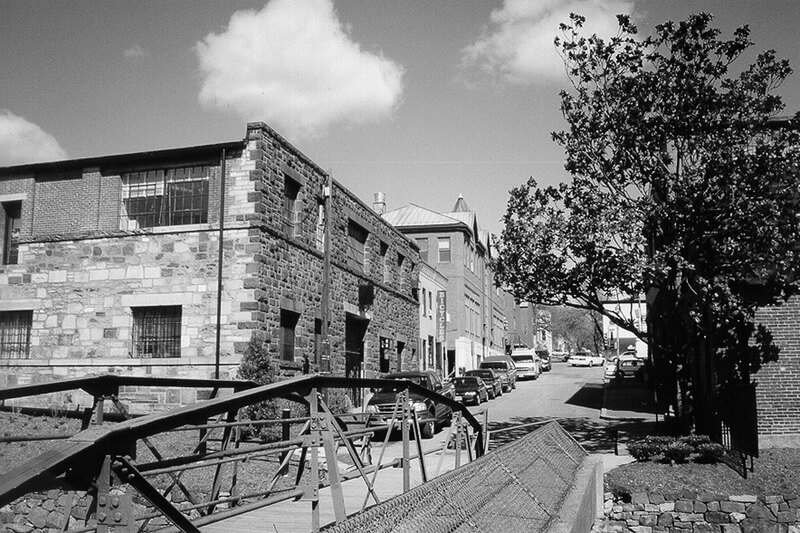 Located in Georgetown, at 33rd Street and the C&O Canal, this building was originally constructed in 1929 by James H. Caton. 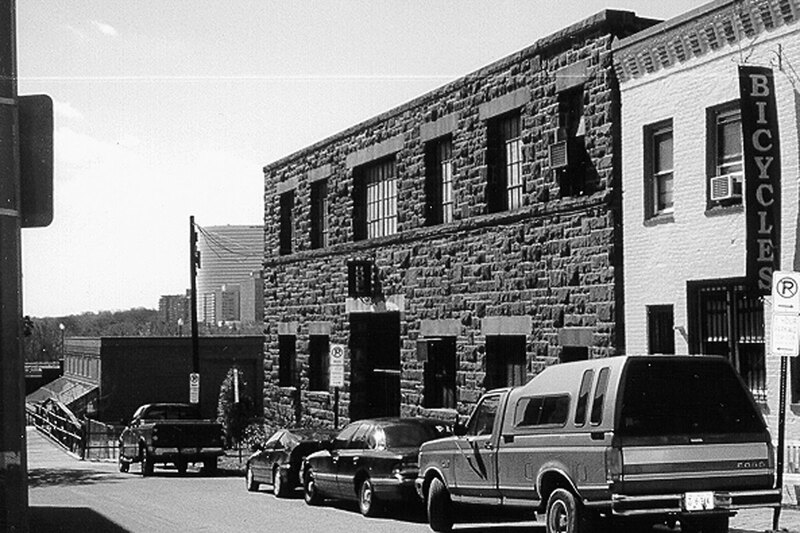 Initially conceived as a one-story storage building, plans were revised during construction, and a two-story commercial automobile garage was built. Although the entire elevation facing 33rd Street is of brownstone, both north and south elevations are of fieldstone at the ground floor with an upper story of brick. 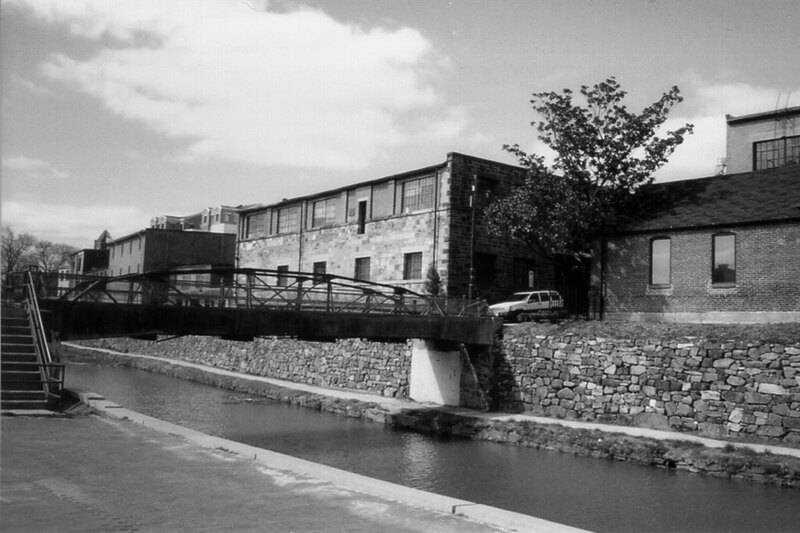 Caton’s Walk is part of the ongoing renaissance and redevelopment of western Georgetown and has remained an integral part of the historic industrial fabric along the C&O Canal. 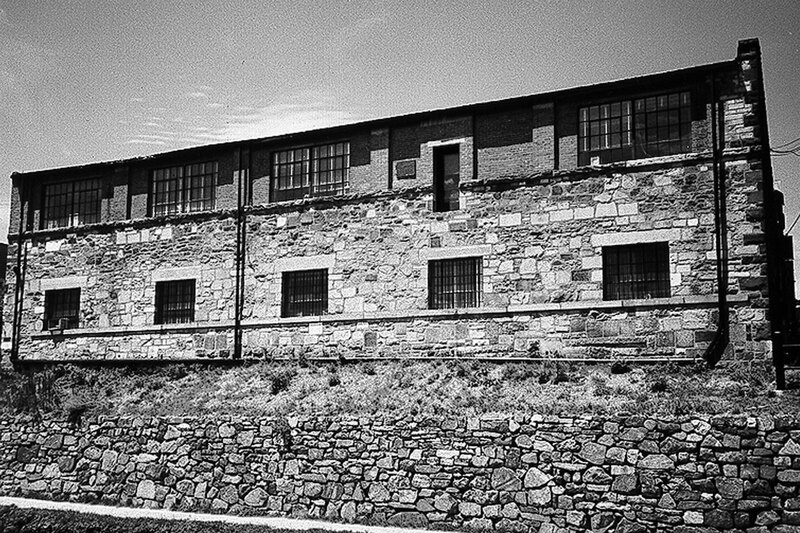 Cunningham | Quill Architects oversaw the historic preservation, renovation, and adaptive reuse of the building into a mix of retail, office and residential spaces. The third floor design creates a new steel and glass-clad space which contains two live/work residences.